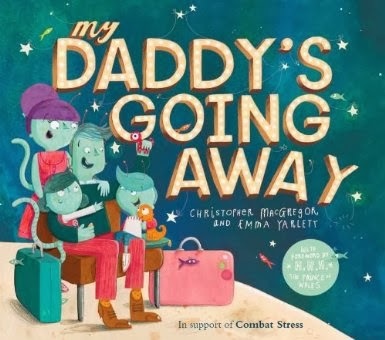 Originally published a few years ago, and republished on the 26th September - but now with fabulous new artwork by Emma Yarlett, Lieutenant Colonel Christopher MacGregor's fantastic book "My Daddy's Going Away" is a very special book indeed. Christopher developed the book to help children cope with the long-term absence of their mums and dads who are in the armed forces, and proceeds from the book contribute to Combat Stress charities. It tells the story of Daddy rocketing off to distant shores - the twist here is that the family are wonderful bluey-green aliens (with fabulous long blue tails), the allusion is representative of what it must feel like for kids when their parents do the same in the line of duty. 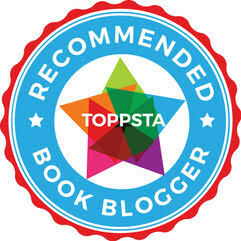 Our child narrators here see their daddy off in grand style, before reminiscing about all the fun things that they do (including, hooray, daddy reading books to them at bedtime). With an introduction from HRH The Prince of Wales, it's a book that feels like it's been written from the heart by someone who has gone through the situation themselves, and expertly imparts to others what it feels like for both the children and the parents when they're separated in this way. We've been fans of Emma Yarlett's artwork ever since she exploded onto the children's book scene with her fabulous "Sidney, Stella and the Moon" gaining her a well-deserved book of the week. Here, she packs every page spread with exquisite detail and her tweaking of the original characters from Christopher's book are wonderful and spacey. We're pleased to hear that more will be arriving soon, as the talented duo will be working on "My Mummy's Going Away" - So look out for it in the not too distant future. Daddy's Favourite bit: Touching, heart-felt and beautiful book supporting a worthy cause, and with a message for all of us - that separation from your children for ANY reason is hard on both parties equally.